The Figueroa Wu Family Foundation is proud to work with the following organizations and groups who share our goals of spreading services into areas of unmet need in a manner that is dignified and empowering. The University of Illinois Hospital and Clinics in Chicago has partnered with the Figueroa Wu Family Foundation to bring the Pilsen Food Pantry at UIC to the Chicago community. Together, we're working to combat hunger and improve social and health outcomes through research. UI Health Pilsen Family Health Center Lower West Side provides individuals of all ages as well as families with comprehensive primary healthcare. This includes general checkups and physical exams, as well as immunizations, prenatal care and basic diagnostic testing. 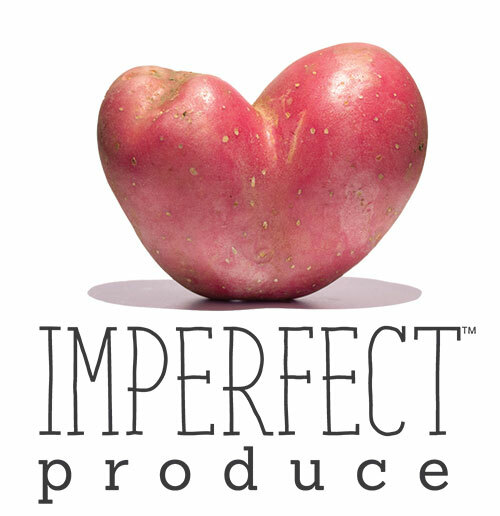 Imperfect Produce has partnered with the Figueroa Wu Family Foundation to bring the Pilsen Food Pantry at UIC to the Chicago community. Together, we're working to combat hunger and improve social and health outcomes through research. Imperfect Produce sources "ugly" produce directly from farms which would otherwise end up in a landfill. They then deliver that produce to residential customers, increasing the affordability of fresh produce and reducing waste. Trader Joe's has partnered with the Figueroa Wu Family Foundation to bring the Pilsen Food Pantry at UIC to the Chicago community. Together, we're working to combat hunger and improve social and health outcomes through research. In the first month of the pantry's operations, Chicago-land Trader Joe's stores donated over 2,000 pounds of food to pantry clients. By donating food fresh and safe food with mild cosmetic imperfections, Trader Joe's works to reduce food waste and benefit the pantry. The Chicago Period Project has partnered with the Figueroa Wu Family Foundation to bring the Pilsen Food Pantry at UIC to the Chicago community. Together, we're working to combat hunger and improve social and health outcomes through research. CPP is a feminist, grassroots organization dedicating to ensuring that all people who mentruate experience healthful periods with dignity by distributing pads, tampons, and underwear to those in need. They have supplied over 5,000 pads and tampons to pantry clients in the first 3 months of operation. The Women's Aid Center in Chicago has partnered with the Figueroa Wu Family Foundation to bring the Pilsen Food Pantry at UIC to the Chicago community. Together, we're working to combat hunger and improve social and health outcomes through research. The Women's Aid Center is a private owned, woman managed clinic specializing in providing quality, affordable, and compasionate healthcare to women. Want to join our efforts to create a more equitable world? Reach out to become a partner or consider making a donation.